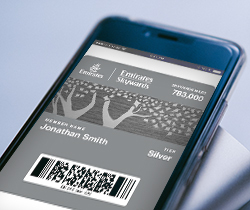 Our frequent flyer programme has four rewarding membership tiers, starting with Blue and progressing through Silver and Gold to Platinum. complete the number of Emirates or flydubai flights needed to reach the next level. 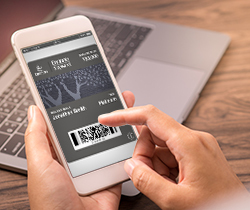 Each new tier brings you inviting benefits that increase in value, such as dedicated check-in, priority boarding and lounge access. 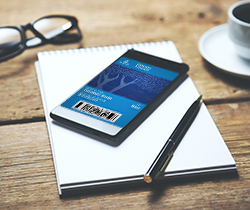 Once you have been promoted to a new tier, you enjoy your membership privileges for 14 months, even if you don’t earn enough Tier Miles or take enough flights to retain the tier status in your annual review. Member-only services and special attention to preferences ensure a very warm welcome to the first tier of membership. Join our Silver members when you collect 25,000 Tier Miles or take 25 flights1, and access a new range of advantages and courtesy services. A qualifying flight is a flight on Emirates or flydubai, or a codeshare flight marketed by Emirates but operated by another airline, between the point of origin and point of destination of an outward or return journey. 50,000 Tier Miles or 50 flights1 to access the special benefits and premium services of Gold membership. A guaranteed seat5, even on fully booked flights. Platinum privileges are exclusively reserved for our most frequent flyers achieving 150,000 Tier Miles, and are carefully designed to make every moment of your journey extraordinary. 1Qualifying flights include flights on Emirates or flydubai, or a codeshare flight marketed by Emirates but operated by another airline. 2Lounge access terms and conditions apply. 3Seat selection terms and conditions apply. 4Guaranteed excess baggage allowances for Silver, Gold and Platinum applies to the weight concept only and may vary in accordance with some international airport baggage regulations. 5Seat guarantee terms and conditions apply. We will guarantee an Economy Class seat on your chosen flight. For Platinum members, we will also do our best to confirm a seat in Business Class. However, during major holidays and special events this may not be possible on some flights. 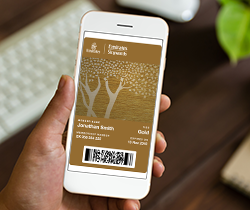 6Classic Flex Plus reward tickets are available via Emirates contact centres. At Dubai Terminal 2, complimentary access for yourself to the flydubai Business Class lounge. At Dubai Terminal 3, complimentary access for you and one guest to Emirates Business Class lounges in Concourse B& C (based on departure gate). Worldwide (except Dubai), complimentary access for yourself to flydubai partner lounges. At Dubai Terminal 3, complimentary access for you and your guests to Emirates First Class lounge in Concourse B & C (based on departure gate). 8Additional baggage allowance applicable if flydubai flight fare is checked baggage inclusive. There are 3 FAQs for Membership Tiers. How are my Tier Miles calculated? How do I keep my Silver, Gold or Platinum status? Can I transfer or buy Tier Miles?